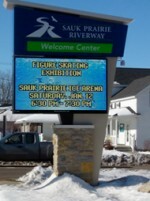 There are numerous advertising, marketing and sponsorship opportunities available through the Sauk Prairie Area Chamber allowing your business to market business to business or throughout the Sauk Prairie Riverway community. The premise behind the welcome basket initiative is two-fold: first, to welcome our newest community members to the Sauk Prairie area; second, to make chamber members – our local businesses – the first place they consider when looking for goods and services. This is a great way to weave your business in the community, promote what you do and together we can encourage new residents to spend locally. For $50 per year, this is an excellent way to market your business. This bi-annual publication is produced as a resource for our residents and visitors alike. 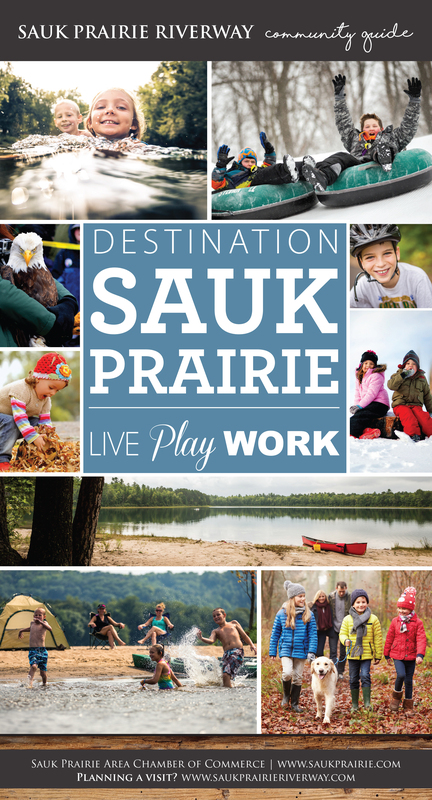 The Sauk Prairie Riverway Community Guide provides an overview of our lifestyle in Sauk Prairie, business & industry, healthcare, area maps, education, things to do and community & public services. All Chamber members are listed in this publication but you also have the opportunity to advertise your business in specific sections of the guide with print advertising. The Chamber owns a lighted billboard located on Hwy 12, as well as, a digital electronic messaging board that is located on Phillips Blvd. in Sauk City. Approximately 24,000 cars pass these stretches of highway each day making this advertising option a great opportunity for Chamber member businesses. Click here for Billboard Policy & Procedures. Two opportunities to utilize electronic advertising exist within our Chamber. Member businesses can advertise in the Chamber News, our monthly newsletter, or our Wednesday Weekly. Both options are emailed to just over 1,000 business contacts and the monthly newsletter is on the website. If you are just beginning your business in the Sauk Prairie area or are celebrating a reopening, let the Chamber assist you. 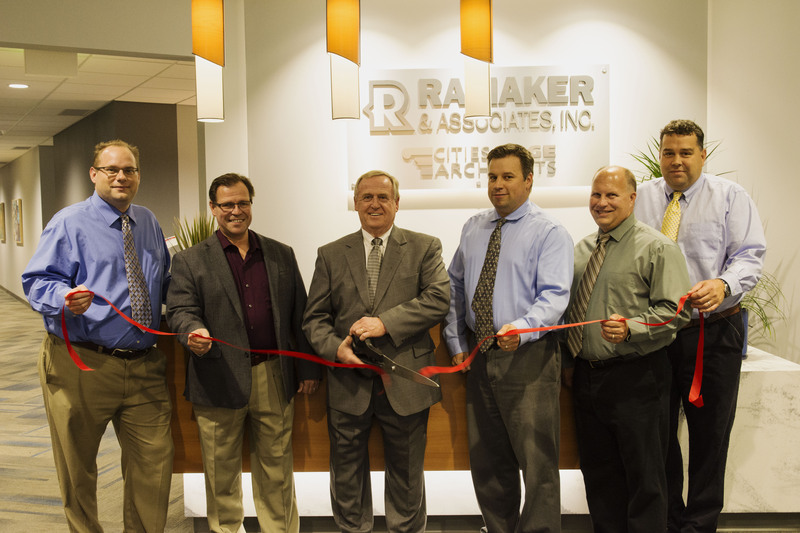 The Chamber can help promote your business with an official ribbon cutting ceremony. For more information regarding these opportunities, please click here to email the Chamber. To learn more about hosting a Ribbon Cutting, please click here.